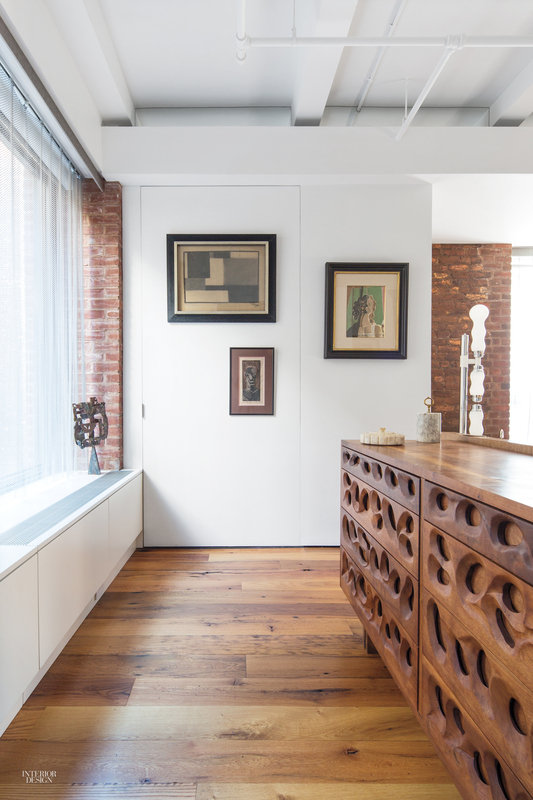 When Harry Heissmann‘s clients requested glamour for their 1,200-square-foot master suite dressing room in their Greenwich Village town house, he certainly delivered. The space boasts a Finnish mid-century chandelier and a plywood desk, flanked by custom glass sliding doors. Inside, the doors are painted with a giant circle motif rendered in glittering paint. Off the master bedroom in this 2,300-square-foot New York apartment, a dressing room features custom hemlock millwork and a herringbone-pattern calf-hair rug in various hues of gray, reiterating the overarching color scheme in the rest of the apartment. “The whole reads as a cohesive story versus a series of individual vignettes,” Workshop/APD partner Andrew Kotchen says. This modernist home in Antwerp, Belgium, features a glamorous master suite dressing room with purple fabric-covered closet doors and an eye-catching vanity on a round pedestal table with mirrors that can revolve like reflective planets. In the master bedroom of a Chelsea loft by Alexander Gorlin and Larsen Design, a dresser behind the bed’s headboard creates a semi-private changing area. IKEA storage units create an organized yet stylish shoe display in the daughter’s bedroom of this 3,330-square-foot Chicago apartment by RDK Design. 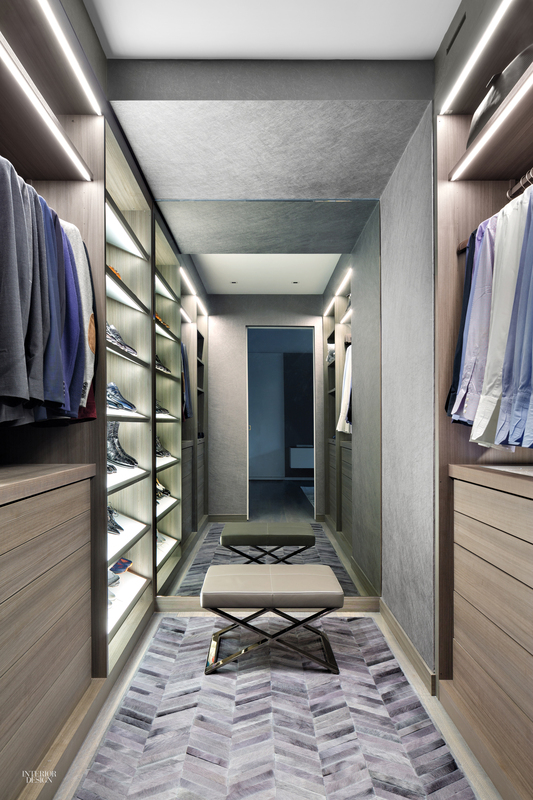 What was once just a closet in Gensler creative director John Bricker’s West Village apartment is now part of a two-room dressing room. 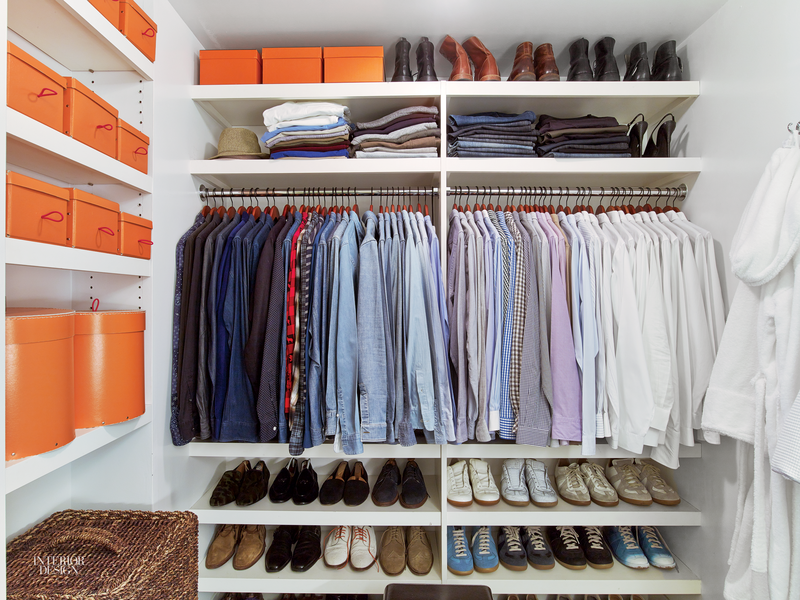 Bricker made small adjustments to his 850-square-foot apartment to open up the flow, removing the short hallway that connected the bedroom, bathroom, and walk-in closet, to transform the space into a proper dressing room. The master bedroom of this New York pied-à-terre by Eric J. Smith and Erik R. Smith includes a dressing room that features bleached anigre built-in cabinetry.